Do you love to spell or watch other people spell? 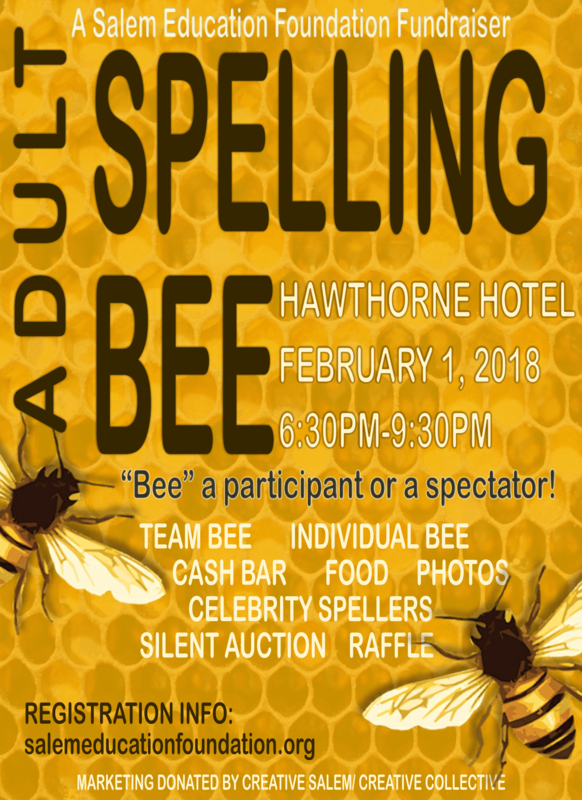 We at the Salem Education Foundation are hosting an adult spelling bee fundraiser at 6:30 pm on February 1 at the Hawthorne Hotel. 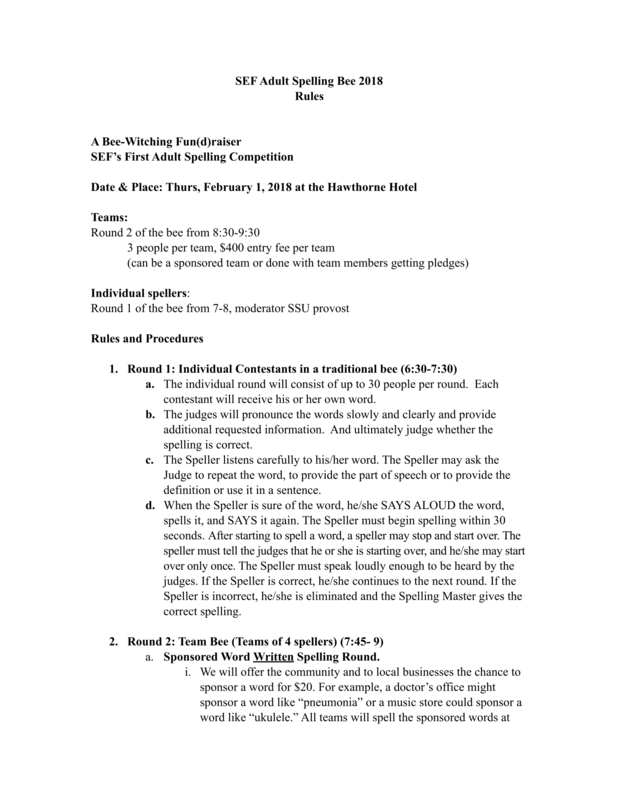 We are looking for both individual spellers and teams of three. Individuals will participate in a standard spelling competition to start off the evening. The registration fee for individual spellers is $25. After the individuals spell, we will have teams of three compete. The registration fee for teams is $400. Teams can be sponsored by a business or the members can recruit friends and family to sponsor them, all facilitated on the website. The team round will not be a standard spelling bee. We encourage teams to wear costumes and be ready to both spell and laugh. During the team round, the audience will be able to buy helps or hindrances to apply to a team. Helps will include a brief neck massage or heartfelt encouragement from a local celebrity, or buying the next letter of the word. Hindrances will include Stingers and Polar Plunges. The Stinger is a signature cocktail sent to the team of your choice and the polar plunge is a bucket of ice water that spellers must put their hands in as they spell. 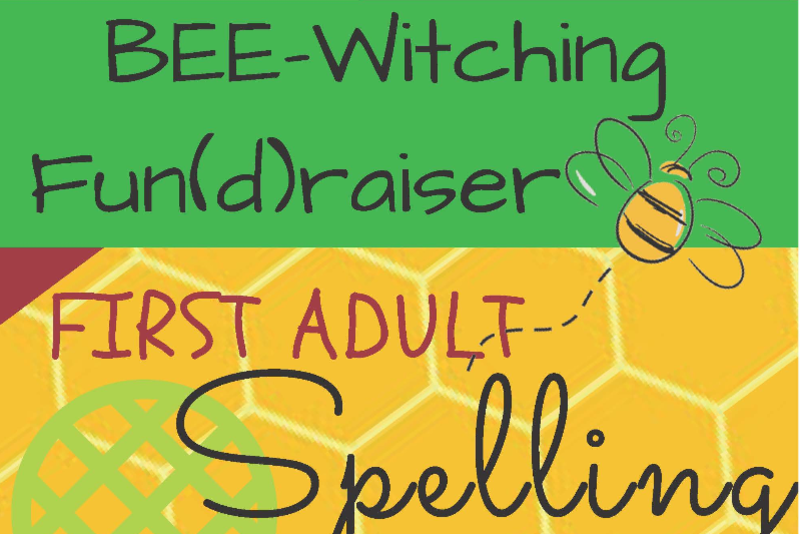 The Best Team of Spellers will go home with fuzzy bee trophies and a chance to develop a grant opportunity for Salem Public School teachers given in their name for the next year. Other team prizes include: Best Fundraisers, Best Team Costumes, and Best Team Name. If you don’t want to spell in public, you can still have some skin in the game by sponsoring a word for $20. We’ll include that word in the spelling list and let you stump the spellers. Admission to the event is $10 per person. There will be door prizes, raffles, food and a cash bar. Click here to download the above flyer! Click here to download the above rules! Support projects that go beyond the scope of those funded by the Salem Public School Department. Work with the larger community to make schools a true community enterprise by promoting and coordinating volunteerism and participation in the schools.